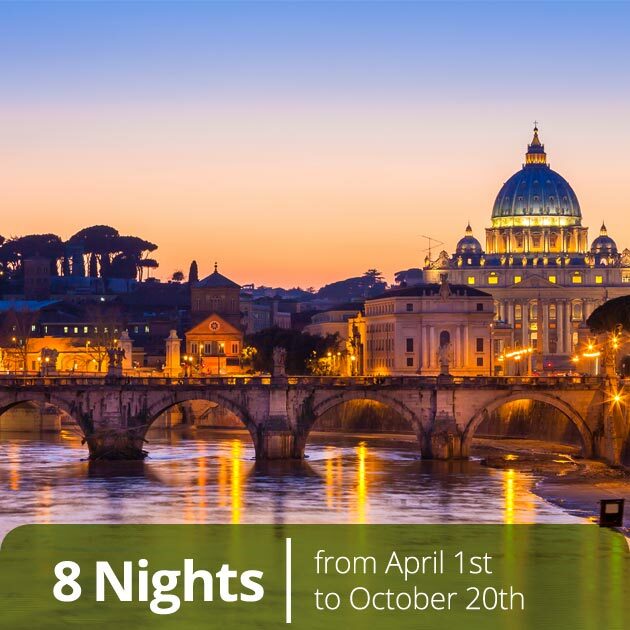 Historical sites of Rome, beautiful Florence, and the romantic charm of Venice, can all be part of your luxury vacation. 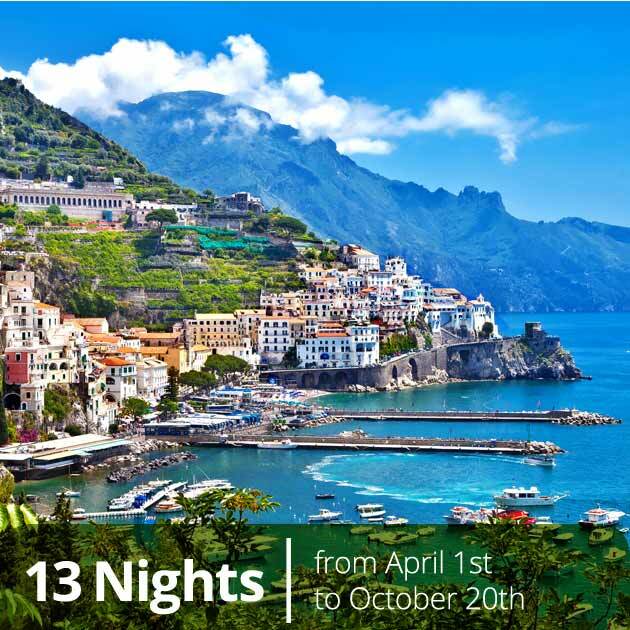 Discover the vibrant seaside of the Amalfi Coast and sip Limoncello in the piazzas of Ravello on your luxury travel. 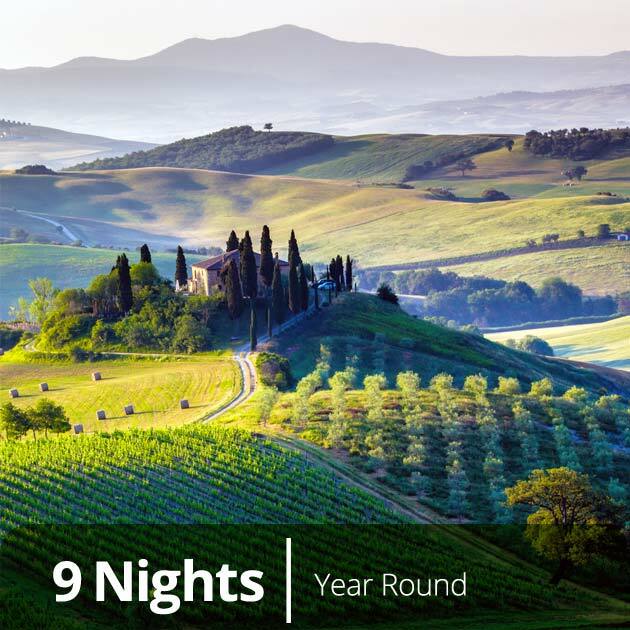 Combine the Coliseum, the Vatican, and Tuscany's rolling hills and medieval villages with Florence, in your vacation bundle. 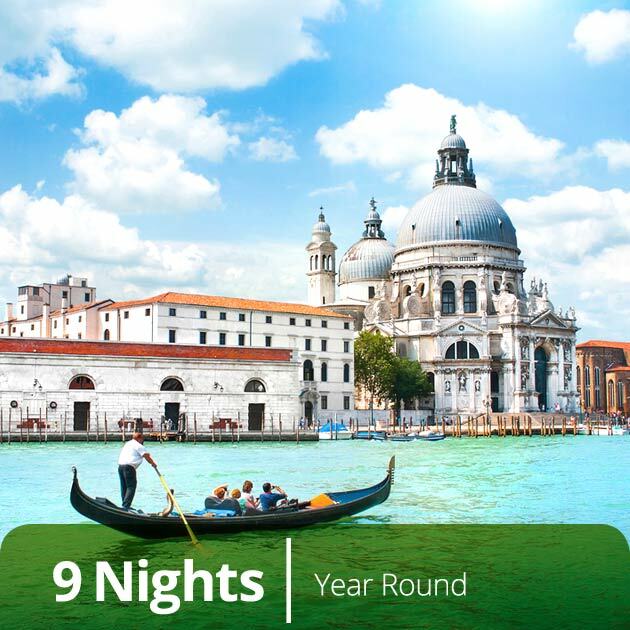 Plan your luxury vacation with a gondola ride in Venice, historical landmarks in Rome, and scenic views of the Amalfi Coast. 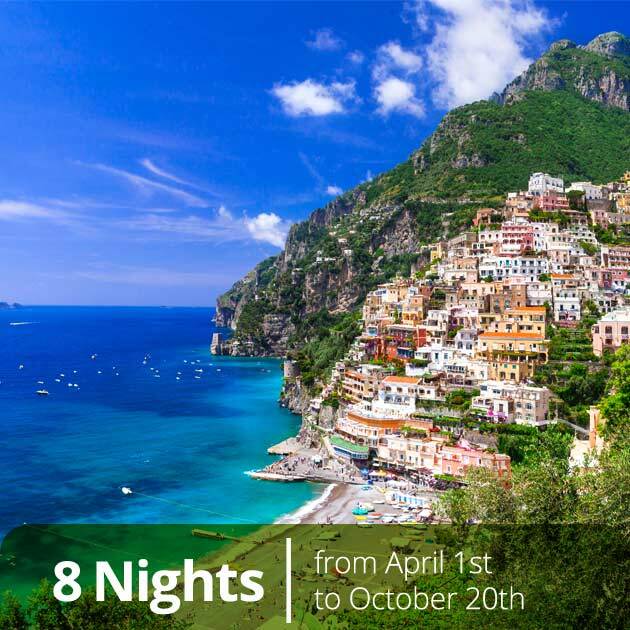 Plan your perfect balance of a luxury vacation mesmerized by the wonders of Rome and relaxing on the Amalfi Coast. Set off on a luxury exploration of Italy. Visit Milan, the world’s fashion capital, and see the shores of the Italian Riviera. 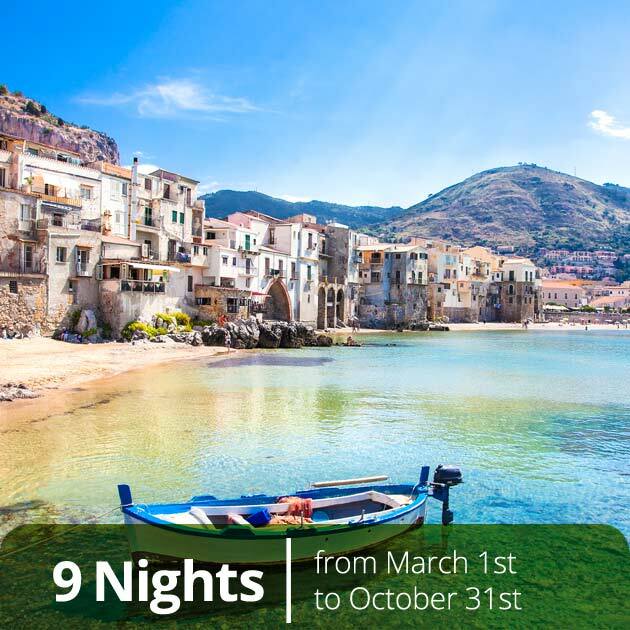 Experience a different side of Italy by visiting the unique island of Sicily on your first-class luxury travel vacation. Are you ready for your vacation getaway? 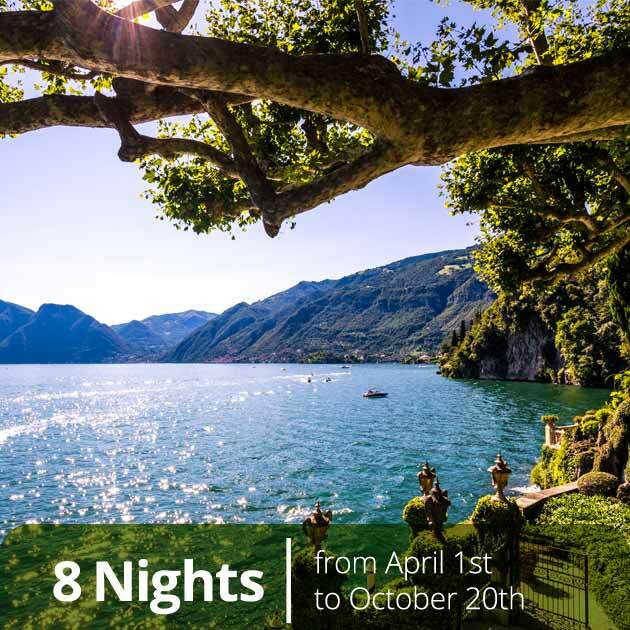 Search for the perfect luxury vacation package that fits all your needs and desires. I want to thank you for planning a splendid trip for Tara and me. 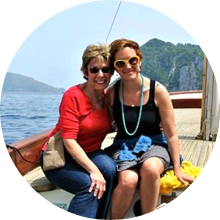 Your choices were incredible - especially La Minervetta in Sorrento and Hotel Palazzo Murat in Positano. They were not only beautiful to look at but friendly, warm with wonderful breakfasts. The settings were magnificent. What a joy!